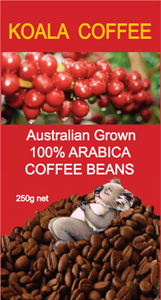 Australian Grown 100% Arabica Coffee Beans. The plantations are 100% pesticide free. The beans contain up to 20% lower levels of caffeine than other Arabica varieties, making the coffee healthier and friendly on the digestion.